As dedicated El Paso home builders, we understand the great responsibility of building someone’s home. It is, after all, where they will spend vast amounts of their time, where their families will grow and create memories. Part of Santana Homes’ mission is dedicating ourselves to the industry so that we can provide high-quality construction, unmatched modern and innovative designs, and the latest home features to increase comfort, security, and luxury. The real estate market in town is seeing its fair share of growth and expansion. Thanks to population growth and economic prosperity in the area, the city has seen an upsurge in infrastructure and real estate demands. Recent news reports show the El Paso market as a great place for investment and settling down. The average price in the city is significantly lower than the rest of the country. 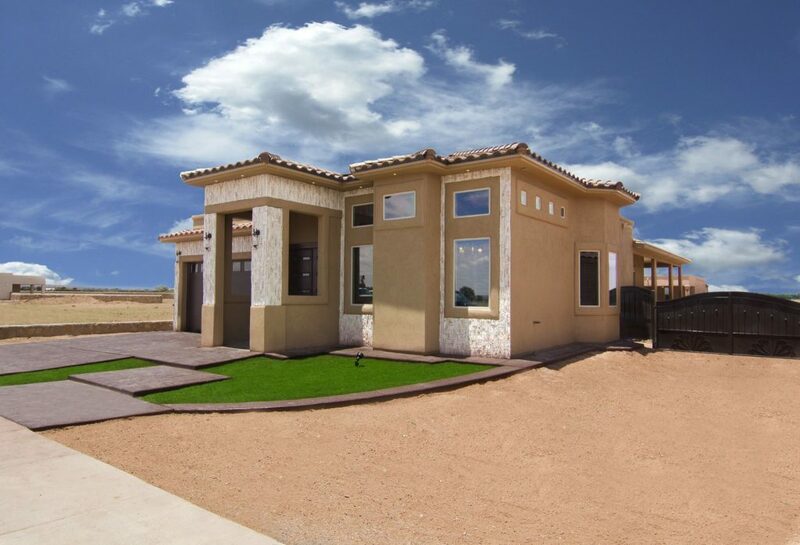 El Paso homebuilders have great freedom in building fantastic homes without having to go to exorbitant prices. Windows: They look the same right? So what’s the big deal? Energy efficient windows are usually thicker, as they are double paned. This means that instead of one pane of glass there are two and in between is a space for insulation. They are also constructed out of low- emissivity glass (Low-E glass) which helps block the rays of the sun. Window insulation around the glass is also improved by using a thermally efficient material instead of metal. HVAC system: Much of your energy consumption will go towards heating and cooling your home. Without an effective and well functioning system, you’re likely to see energy bills go up. An Energy Star system means that heating and cooling ducts are well sealed, you have a programmable thermostat, and all other components are working properly without unnecessary energy expenditures. Water Protection System: According to Energy Star standards, newly built homes wearing the Energy Star label are able only to use the best building materials that help prevent water and mold damage. Lighting: Energy Star certified lighting appliances and fans also contribute to reducing energy costs in new homes. Household appliances make up nearly 11 percent of the average home’s energy use. With advanced lighting, a homeowner has many options to choose from that create different atmospheres while saving on energy costs. Having an energy efficient home is not just a fad, it’s an investment in your future and the future of your children. As El Paso home builders we know what’s important to you. We build with you in mind. No other homes in the area have the slick, modern, and luxury designs of Santana Homes. Gives us a call today.